The concept of birthstones may have derived from the interpretation of a specific object in the Old Testament. Specifically, the Breastplate of Aaron in Exodus is described as a religious garment set with twelve gemstones that represented the twelve tribes of Israel. Between the First and Fifth Centuries in Europe, this concept was expanded to reflect the twelve signs of the zodiac and tied strongly to pagan and astrological beliefs. Empowered by the belief that certain gems aided us humans spiritually, mentally, and physically; many cultures have developed their own belief systems with gemstones serving as talismans of protection, health, and prosperity. For this reason, it is easy to go online and see birthstone charts associated with specific cultures, religions, and ideologies. You may see some differences in the traditional vs. modern birthstones when researching your birthstone. In 1912 the National Association of Jewelers ( USA ) dictated a specific modern birthstone chart in order to simplify and make birthstones universally consistent on a commercial level. Few changes have been made since then with the exception of Tanzanite being added to December on some lists and Alexandrite excluded for June on many. These changes are purely driven by the availability of the gems and the market. Below is our list which runs quite parallel to the modern birthstone chart. All of the gems we sell at Duris Studios are natural gems that formed in the earth and not in a laboratory. There are no synthetic gems or imitation gems in our world. If a gem has been treated to enhance their color or stability, then we will disclose that information. Sapphires, rubies, and some other gems are commonly heat treated to saturate and stabilize color. 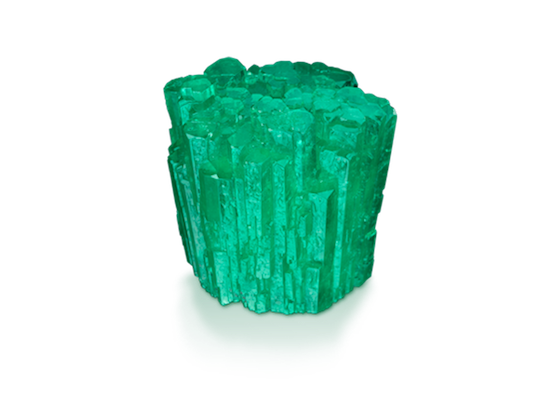 Some emeralds are fracture-filled for structural stability. 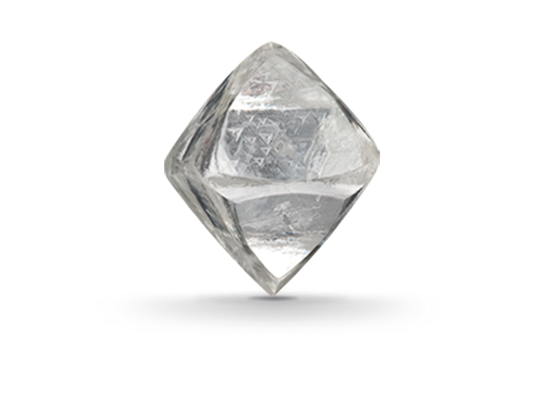 All of our diamonds are natural diamonds that have not been synthesized or treated with high temperature and pressure. For more about diamonds, check out our diamond information post. Each gem variety has a specific density, hardness, and structural properties. The density ( specific gravity -SG ) along with the speed at which light travels through the gem ( refractive index - RI ) is how often a more accurate identifier of gem variety as color alone can be deceiving. Hardness is measured in the Mohs scale - in which materials are measured by their ability to scratch the surface another material in a qualitative scale from 1 to 10. Talc being an example of the softest mineral and diamond the hardest. The Mohs Scale is an ordinal scale. For example, sapphire ( 9 ) is twice as hard as topaz ( 8 ), but diamond ( 10 ) is four times as hard as sapphire. Harder gems ( 7 + ) are better for rings and bracelets as they get more wear and impact with their environment. As a result of the crystalline structure of certain gems and how they form underground, some gems are more suitable to being cut into different shapes. Most gems can be cut into a faceted round, but finer examples of certain materials may be found in other cuts. Natural inclusions also form inside gems, which can affect their durability. For this reason, you can have a relatively hard material like emerald ( Mohs: 8 ) but if it is included it can be a very fragile gem. All of our gems are sourced from a variety of dealers with which we have a great deal of faith in and often times a strong personal and business connection with. We are always willing answer questions about any of our gemstones and fulfill special order requests. For a specific gemstone request, contact us! 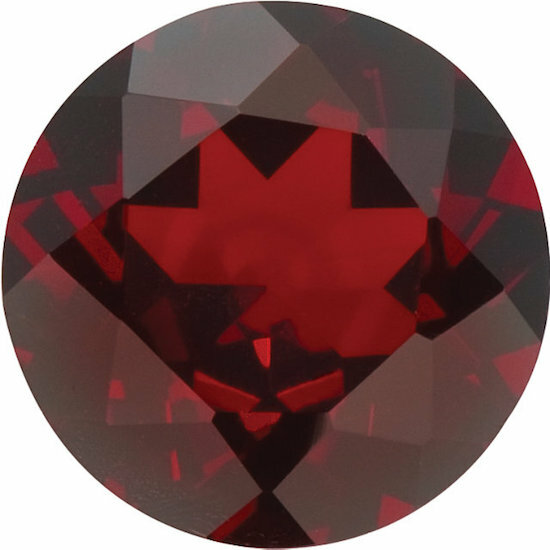 Garnets are found worldwide in several gemological varieties exhibited in lovely oranges, greens, violets; with reds being most commonly recognized. In Hinduism and Buddhism garnet is considered a holy stone that enlightens the should and bestows wisdom. Garnets are cut in many shapes and sizes and are generally a wonderful gem to consider for custom designs. Amethysts are commonly found throughout the western hemisphere, Africa, and Australia. Color varies from light violet to a deep purple with flashes of pink in exceptional specimens. Ancient Greeks looked to amethyst to ward off drunkenness while in Medieval Europe it was reserved for Royalty and high standing members of various Christian faiths. Tibetan monks use amethyst in meditation. We currently have some very unique Amethyst gems recently mined from Morocco with exceptional color ready to be turned into custom designs. Aquamarine is a Beryl that is typically a blue, cyan or green color. Many varieties form around the world with some lovely specimens from Africa and the USA. Ancient Roman legend has this gem originating from a mermaids jewelry box, thus it 's name originating from the Latin aqua maris or " Sea Water". We use aquamarines in our studio to adorn many sea themed designs and it is also lovely in cabochon form. Diamonds have been mined on almost every continent of earth. Only a small percentage of diamonds are mined for jewelry when compared to its industrial applications. Diamonds possess unique reflective and refractive qualities when cut properly. Popularized in the US after WWII as the preferred choice of gems for engagement rings, diamonds are still the most popular gem to say "Yes" to when proposing. We have access to a wide variety of lovely diamonds from traditional bright, round brilliant cuts to more unusual cuts and colors. For a personal diamond consultation please contact us! Emeralds are another gem in the Beryl family that exhibit a natural green color. Associated with the "Emerald Isle " only for their color, as none are actually from Ireland. The best specimens are usually found in Columbia and Zambia with many other varieties mined in other areas in Africa, Brazil, and pockets in Asia and the USA. In the Ancient World, emeralds were associated with Mercury the Roman messenger and traveller and used as a talisman of protection for all travelers. Emeralds need to be considered carefully when designing jewelry. Their increasing price in recent years has also contributed to the rise in popularity of vibrant green Tsavorite Garnets from Africa . Pearls are an organic gem formed from different bivalves in both salt and fresh water. 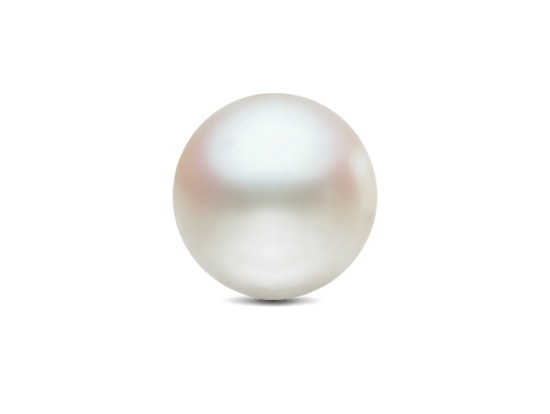 The majority of pearls are cultured, some with proprietary processes that are unique to a region or manufacturer. For more about pearls click here. Pearls have been adored and adorned by all cultures with a connection to the sea. We have a wide variety of freshwater and saltwater cultured pearls in natural color and whites available for many custom designs. Tahitians and South Sea Pearls are also favorite items for custom work in our studio. Visit our Pearl Bar and design your own custom strand. Moonstones are a feldspar mineral that forms in Europe, Africa, Asia and the Western Hemisphere in a variety of locations. Usually grey or white, it can also flash other colors. The most precious variety is sometimes referred to as Rainbow Moonstone or Adularia. Moonstones are associated with lunar dieties in both Greek and Roman Mythology. The finest moonstones were used in the work of famous jewelry designers in the height of the Art Nouveau Period. We love to use moonstones in many of our designs. The best pieces have a chatoyancy that split the light along one axis of the gem. Alexandrite is a gem that exhibits color change and is found in many birthstone charts. It is less common and can be very expensive and difficult to find in larger sizes. We occasionally use alexandrites as small accent gems when called for. Ruby is a sapphire with a higher concentration of chromium. Both rubies and sapphires are considered to be corundum family gems. The distinction between ruby and pink sapphire in the United States is defined by a specific saturation of color. In other parts of the world, most red sapphires are called rubies. The finest rubies originate in Asia with some exceptions in other areas. Rubies have been described by Ancient Greeks to combine Eros, sensual love, with Agape, spiritual love to create the most divine crystal on earth. As a result of fluctuating trade embargos and sanctions over the past few decades, the best "Burmese" rubies from Myanmar have become more scarce, but can be found at the right price. We have recently been enjoying the color and quality of newly mined rubies from Mozambique. Peridot is one of the few gems that only exists in one color. This gem's hue and tone can vary with origin and the quality is dependent upon the clarity and cutting. It is common to find peridot rough in the USA, Asia, North Africa, the Middle East, and a few specific mines in Norway. Peridot is referred to as Olivine in most historical references. It was re-named by English monks in St. Albany Abbey in 1705 to reduce it's confusion with emerald in trade. The difference in pricing between the commonly seen pale peridots and the rich, vibrant grades are often not too disparate. For this reason, we always try to use the best peridots when a design calls for it. Sapphires form in a variety of colors, the most well known being hues of blue. The finest sapphires can be found in Sri Lanka, Southeast Asia, Australia and Montana. One of the most coveted gems throughout history, sapphires have been used in the royal and holy jewels of many nations and religions. In our studio, we love working with sapphires for many reasons. Their durability and interesting color options allow for them to be useful in almost any design. Contact us today for a viewing of special sapphires in any color from pink, blue, green, yellow, or vibrant oranges and reds. Tourmalines or schorl form naturally in beautiful pinks, greens, blues, and natural yellow and earthy browns with rare orange and reds. As a birthstone, it is usually in pink. Commonly found in a various forms across Asia, Africa, and the Western Hemisphere, each formation of tourmaline has it's own particular composition as it is a complicated formation. Tourmalines have often been mis- identified as other gems throughout history. Caesar’s Ruby, a 52-carat red tourmaline, was a gift of King Gustavus III of Sweden to Catherine the Great. Opal is a hydrated silica, containing about 20% water. The finest opals originate in Australia, with Brazil and the US producing some interesting varieties. Fire Opal from Mexico and Blue Opal from Peru are also unique gemstones from the Western Hemisphere. Opals are stunning and require certain consideration when designing jewelry. Being susceptible to damage from wear or improper care, they are best for low impact jewelry designs. Topaz exists in almost every color and hue, with some being pleochroic or exhibiting more than one color in the same formation. Not uncommon in areas of Asia, Africa, the USA, and South America. Topaz forms some of the most largest crystals. The 22,982-carat American Golden is one of the world’s largest faceted gems. It's in the collection of the Smithsonian Institution, National Museum of Natural History. Citrine is a much more golden gem which is in the quartz family. 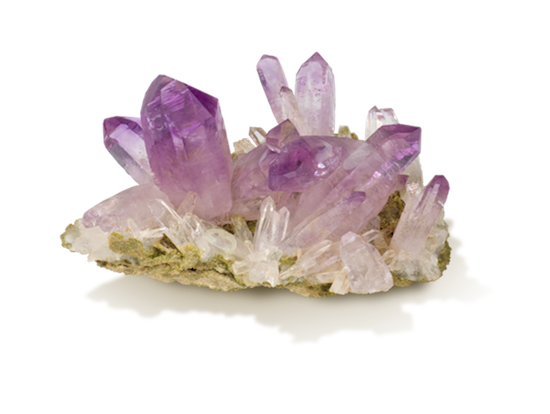 It sometimes forms in the same crystal as amethyst combining both purple and yellow to form ametrine. Citrine is found in many mines, but the best samples originate from the USA, Brazil, Russia, Madagascar, and areas of Spain and France. Citrine's role in fashion reached it's height in Western Culture during the Victorian Era. In our studio, we can gather samples of citrine that are a deep golden color, contrasting from the more commercially available pale yellows. Excluding very large gems, citrine is usually quite affordable. Zircon is in it's own gem family and not to be confused with cubic zirconia, which is a less durable and completely different mineral. It can form in many shades of a golden dark brown to red and green, but is commonly sought after in it's blue hues. The golden and red colors form in Africa, Australia, and Northern China with the Blues from Cambodia and Myanmar. Zircon is some of the oldest gem material on earth. Carbon dating puts some samples as old as 4.4 billion years old. We love working with zircons when we can get them in our studio. Lovely matched blue pairs are more vibrant than aquamarines and lighter than most sapphires. Tanzanite is a unique pleochroic gem that has three distinct shades of blue, violet and indigo exhibited in it's rough. It's color has more to do with how it is cut. It is only found in one place int the world, at the hills of Merelani in northern Tanzania. It is a relatively new discovery and addition to the birthstone chart. Masai tribesman Ali Juuyawatu is credited with finding the first tanzanite crystal. The mine was closed for a period of time in and is now currently back open. The supply and demand of this gem has consistently driven the price up to it's current more stable pricing. Large gems and specimens with high color saturation can demand a premium price. Nothing looks quite like a tanzanite. We have a source for some very special tanzanites and can arrange a viewing with a few day's notice. Turquoise is a color that everyone is familiar with. It forms in only one specific environment: dry and barren regions where acidic, copper-rich groundwater seeps downward and reacts with minerals. The finest specimens are found in the Southwest USA, Egypt, and Iran. Turquoise has been used in jewelry for millennia. Chinese and Egyptian pieces of turquoise jewelry have been unearthed that are over 4,000 years old. Turquoise was a ceremonial gem and a medium of exchange for Native American tribes in the southwestern US. They also used it in their jewelry and amulets. The Apaches believed that turquoise attached to a bow or firearm increased a hunter’s or warrior’s accuracy. We are fortunate enough to have close connections with a few sources of unique turquoise. Often we will have cabochons from specific mines in the southwest in our gallery. Some pieces currently are from the Campitos and Patagonia mines.